It is with pleasure I received correspondence to this effect, which I would like to share with any readers in Tbilisi. My name is Father Joseph Fester. I am an Orthodox priest from America under the Ecumenical Patriarchate. My wife is working in Tbilisi for at least the next two years. With the blessing of His Holiness, Patriarch Ilia, we will be offering an English language Divine Liturgy at the Church of St. Andrew (Blue Monastery Church) in Tbilisi starting this Saturday, October 4. Hours starting at 9am and Liturgy at 9:30am. If any of your readers would like more information, they may contact me at jfester99@gmail.com. The choir at St. Andrew’s is learning english and will respond to the litanies in English and as they learn more, we will expand their English language responses. I will serve in English. Everyone is invited to participate, whether Orthodox or interested in the Orthodox Faith. The Blue Monastery is next to the Russian Church in the vicinity of the Tbilisi Philharmonia. A map showing the exact location can be found here. 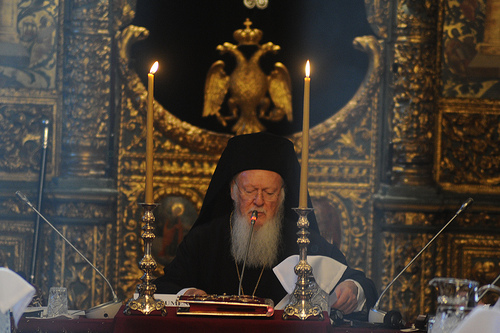 I am particularly pleased that the Patriarchates of Constantinople and Georgia are co-operating to serve the needs of the Anglophone Orthodox faithful and those curious about the faith in this city. May this initiative be fruitful, and great thanks to all who have made it possible. 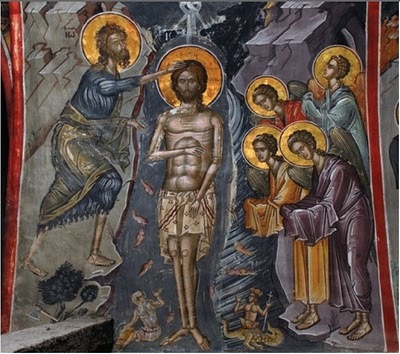 Tomorrow marks the Feast of Theophany (or Epiphany as it is known in the West), when we commemorate the baptism of Jesus Christ by Saint John the Forerunner. Since ancient times this feast also was known as the day of illumination and the feast of lights, because God is the Light and reveals Himself to illumine “those who sat in darkness and the shadow of death” (Mt. 4:16) and to save according to grace, Who has now been revealed by the appearing of our Savior” (2 Tim. 1:9-10), and because on the Eve of Theophany it was the custom to baptize the catechumens, which actually is spiritual illumination and during which many lamps are lit. Besides this, the ancient Church on this day also remembered other events in which the divine worthiness and representation of Jesus Christ was expressed both during His birth, and during His introduction to preach in public after baptism, namely: 1) the worship of the magi as a revelation of Jesus Christ to the pagan world by means of a wonderful star;4 from this commemoration the very feast of Epiphany in the Western Church received the name of the Feast of the Three Kings (Festum trium regum); in the Eastern Church though it was part of the feast, it was not expressed in the character of the feast; 2) The manifestation of the divine power of Jesus Christ in His first miracle at the marriage in Cana of Galilee when the Lord “created the beginning of signs”; and 3) (in the African Church) the appearance of the divine power in Jesus Christ in the wonderful feeding of the more than 5000 persons by Him with five breads in the desert, from which even the feast is called the Phagiphania. The beginning of the feast of Theophany arose in apostolic times. It is mentioned in the Apostolic Constitutions and in the 2nd century the witness of Clement of Alexandria about the celebration of the Baptism of the Lord and doing the night vigil spent reading Holy Scripture before this feast; in the 3rd century the Holy Martyr Hippolytus and Gregory of Neocaesarea; in the 4th century the Holy Fathers of the Church: Gregory the Theologian, Ambrose of Milan, John Chrysostom, Augustine and many others talked about the event of Holy Theophany during the divine service for this feast; the Fathers of the Church of the 5th century: Anatolius of Constantinople; of the 7th century: Andrew and Sophronius of Jerusalem; of the 8th century: Cosmas of Maium, John of Damascus and Germanus of Constantinople; of the 9th century, Joseph the Studite, Theophanes and Byzas deposited many church hymns for this feast, that up to now are sung by the Church. The Lord, according to the teaching of St. John of Damascus, was baptized not because He Himself needed cleansing, but rather, having taken our cleansing upon Himself, to destroy the heads of the serpents in the water, “to bury human sin through water” and all of the old Adam, to fulfill the law, to reveal the mystery of the Trinity and, finally, to consecrate “the essence of water” and to grant us a paradigm and an example of baptism. Therefore the Holy Church, celebrating the baptism of the Lord, confirms our faith in the highest, incomprehensible mystery of the Three Persons in one Godhead and teaches us with equal honor to profess and glorify the Holy Trinity, One in Essence and Undivided; it accuses and destroys the errors of the ancient false teachers: Patripassians or Sabellians, Arians, Macedonians and others who rejected the triunity of Persons in one Godhead, together with those false teachers who taught the human nature of the Son of God was a phantom; it shows the necessity of baptism for the believers in Christ; it inspires in us feelings of boundless gratitude to the Enlightener and the Cleanser of our sinful nature; it teaches that our purification and salvation from sin is only by the power of grace of the Holy Spirit; it specifies the necessity of the worthy use the gifts of the grace of baptism and the protection in purity of those precious garments of which we are reminded on the feast of the Baptism by the words: “As many as have been baptized into Christ, have put on Christ” (Gal. 3:27); and it commands us towards the purification of our souls and hearts in order to be worthy of the blessed life. On January 6, after the Liturgy is finished, usually, at the springs, rivers and lakes, or ponds and wells, “The Order of the Great Sanctification of Holy Theophany”, i.e. the great sanctification of water in commemoration of the baptism of the Lord is also done the same, as in the Compline of the feast. For this sanctification of water there is a solemn procession with the cross, the Gospel, lamps and banners to the water, during the ringing of the bell and while singing the Troparion: “The voice of the Lord upon the waters…”, etc. The return procession is done while singing: “When Thou, O Lord, was baptized in the Jordan…”; at the very entrance of the temple we sing the Ideomelon: “Let us sing, O faithful”. Unlike in the Greek and Russian traditions, Georgian Orthodox parishes do not engage in the casting and retrieval of the Cross from the waters on Theophany. Mass baptisms are still a feature of the feast though. 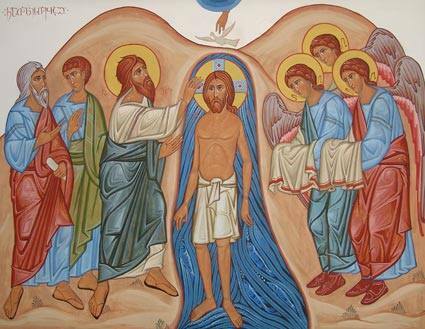 Now it is necessary to say, for whom was Christ baptised and by which baptism? Neither the former the Jewish, nor the last — ours. Whence hath He need for remission of sins, how is this possible for Him, Who hath not any sins? “Of sin, — it says in the Scriptures, — worked He not, nor was there deceit found in His mouth” (1 Pet 2:22); and further, “who of you convicteth Me of Sin?” (Jn 8:46). And His flesh was privy to the Holy Spirit; how might this be possible, when it in the beginning was fashioned by the Holy Spirit? And so, if His flesh was privy to the Holy Spirit, and He was not subject to sins, then for whom was He baptised? But first of all it is necessary for us to recognise, by which baptism He was baptised, and then it will be clear for us. By which baptism indeed was He baptised? — Not the Jewish, nor ours, nor John’s. 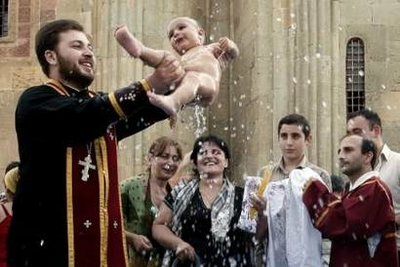 For whom, since thou from thine own aspect of baptism dost perceive, that He was baptised not by reason of sin and not having need of the gift of the Spirit; therefore, as we have demonstrated, this baptism was alien to the one and to the other. Hence it is evident, that He came to Jordan not for the forgiveness of sins and not for receiving the gifts of the Spirit. But so that some from those present then should not think, that He came for repentance like others, listen to how John precluded this. 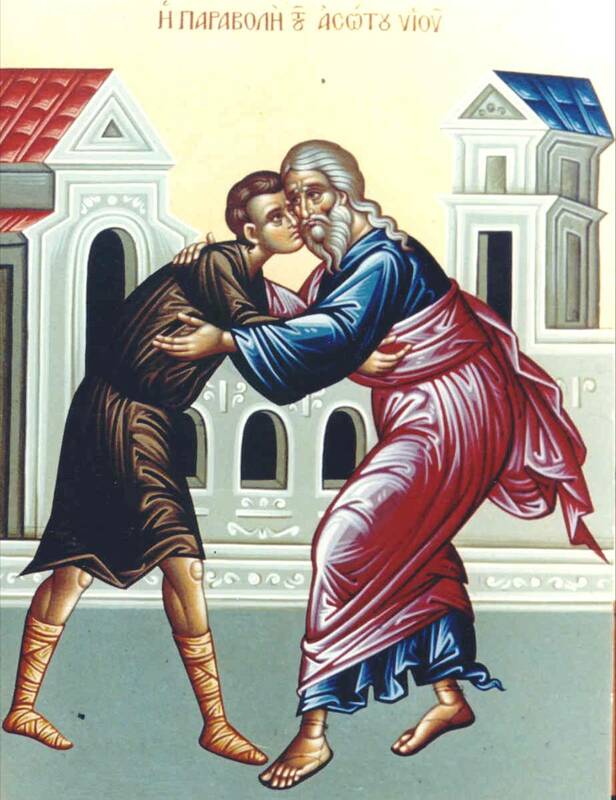 What he then spoke to the others then was: “Bear ye fruits worthy of repentance”; but listen what he said to Him: “I have need to be baptised of Thee, and Thou art come to me?” (Mt 3:8, 14). With these words he demonstrated, that Christ came to him not through that need with which people came, and that He was so far from the need to be baptised for this reason — so much more sublime and perfectly purer than Baptism itself. For whom was He baptised, if this was done not for repentance, nor for the remission of sins, nor for receiving the gifts of the Spirit? Through the other two reasons, of which about the one the disciple speaks, and about the other He Himself spoke to John. Which reason of this baptism did John declare? Namely, that Christ should become known to the people, as Paul also mentions: “John therefore baptised with the baptism of repentance, so that through him they should believe on Him that cometh” (Acts 19:4); this was the consequence of the baptism. If John had gone to the home of each and, standing at the door, had spoken out for Christ and said: “He is the Son of God,” such a testimony would have been suspicious, and this deed would have been extremely perplexing. So too, if he in advocating Christ had gone into the synagogues and witnessed to Him, this testimony of his might be suspiciously fabricated. But when all the people thronged out from all the cities to Jordan and remained on the banks of the river, and when He Himself came to be baptised and received the testimony of the Father by a voice from above and by the coming-upon of the Spirit in the form of a dove, then the testimony of John about Him was made beyond all questioning. And since he said: “and I knew Him not” (Jn 1:31), his testimony put forth is trustworthy. They were kindred after the flesh between themselves “wherefore Elizabeth, thy kinswoman, hath also conceived a son” — said the Angel to Mary about the mother of John (Lk. 1: 36); if however the mothers were relatives, then obviously so also were the children. Thus, since they were kinsmen — in order that it should not seem that John would testify concerning Christ because of kinship, the grace of the Spirit organised it such, that John spent all his early years in the wilderness, so that it should not seem that John had declared his testimony out of friendship or some similar reason. But John, as he was instructed of God, thus also announced about Him, wherein also he did say: “and I knew Him not.” From whence didst thou find out? “He having sent me that sayeth to baptise with water, That One did tell me” What did He tell thee? “Over Him thou shalt see the Spirit descending, like to a dove, and abiding over Him, That One is baptised by the Holy Spirit” (Jn 1:32-33). Dost thou see, that the Holy Spirit did not descend as in a first time then coming down upon Him, but in order to point out that preached by His inspiration — as though by a finger, it pointed Him out to all. For this reason He came to baptism. Today we are drawing very close to შობა/Shoba (Christmas) and the Holy Bible readings today pay close attention to the role that the Prophets played in foretelling Christ’s birth and preparing the world for His arrival. The past two weeks have witnessed commemorations of individual Prophets both major and minor, and today we commemorate them all together. The Epistle reading is from Hebrews 11:9-10, 17-23, 32-40, referring to the heroic acts of the Prophets from Abraham onwards, including their many acts of self-sacrifice. The Letter to the Hebrews is an exhortation for Christians to be resolute in the face of persecution they were suffering in the 1st Century. The unknown author mentions that, though these sacrifices by the Prophets were noble and unique, the centuries-old promise of redemption from sin has only been recently made possible by the birth, death and resurrection of Christ, allowing ordinary contemporary Christians to experience the same joy of redemption and eternal life as the Holy Prophets who preceded them. The Gospel reading is taken from Matthew 1;1-25, which accomplishes the difficult task of first reconciling Jesus’ human nature via his geneaological descent from Abraham through King David to Saint Joseph, with his Divine nature as the Son of God, begotten of the Holy Spirit by the Virgin Mary.